K-pop star Kang Daniel, formerly of boy band Wanna One, and actress Bae Doona are heading the campaign for Louis Vuitton’s iconic Twist handbag. 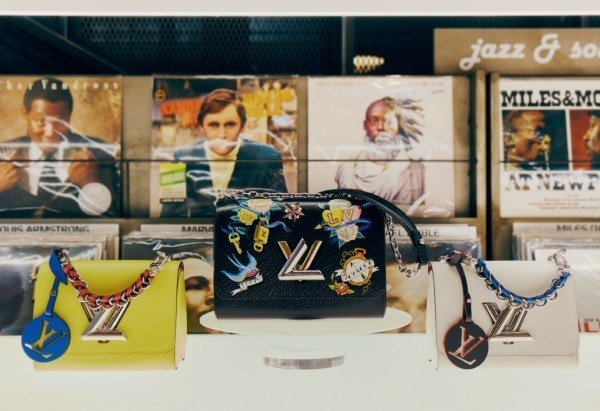 The new campaign -- via videos and photos -- was released last week ahead of the opening of the Louis Vuitton Twist Bag Pop-Up Store in Seoul on Thursday. It is the first time for the French fashion house to open a pop-up store outside its flagship and department stores here. 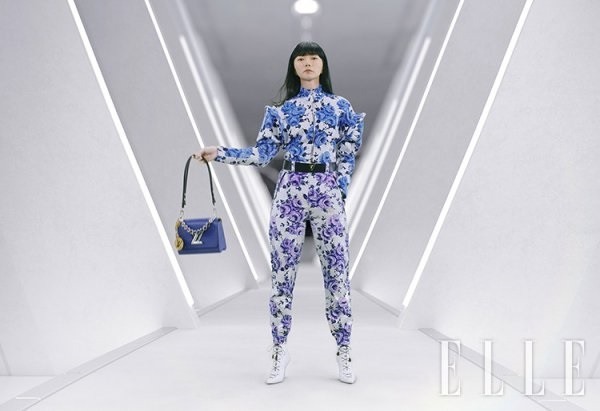 In the campaign, the two stars, clad head-to-toe in Louis Vuitton brands, carry different variations of Twist bags, against a sci-fi, space themed backdrop. While Bae, as the muse of Nicolas Ghesquiere, creative director of the brand, who designed the Twist bags, has fronted Louis Vuitton campaigns a number of times, it is Kang’s first endorsement. Kang, who has been spotted carrying Louis Vuitton bags in the past, pulled off wearing womenswear with certain ease, along with Twist handbags, highlighting his multifaceted charm. 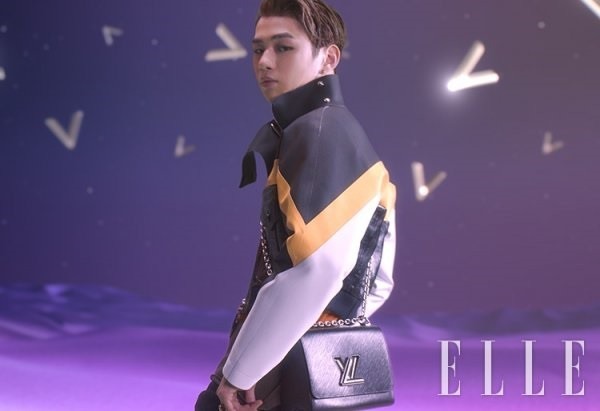 “Louis Vuitton chose Kang as the new model for the campaign because of his great popularity among millennials, who are the brand’s target customers, added with his trendy style that embodies Twist’s classic yet modern, sharp yet soft design,” said an industry source who wished to be unnamed. 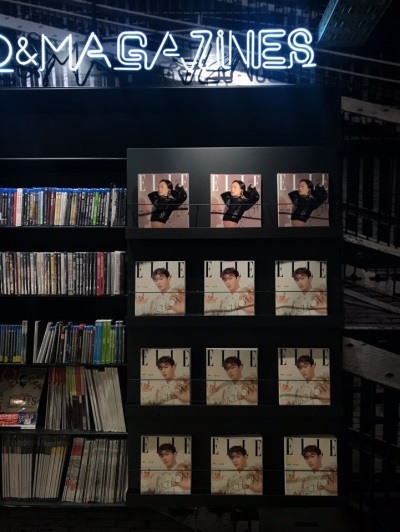 ELLE magazine with Kang Daniel and Bae Doona on the cover displayed at the pop-up store. Twist bags are especially popular among millennials -- those born between 1981 and 1996 -- according to the brand, for its contemporary spin on the more than 100-year-old label. It highlights a unique and compact design that comes with more than 100 different variations of colors, materials and pattern,s while keeping the signature twisting LV logo clasp in the middle, which was designed by Ghesquiere in 2014. 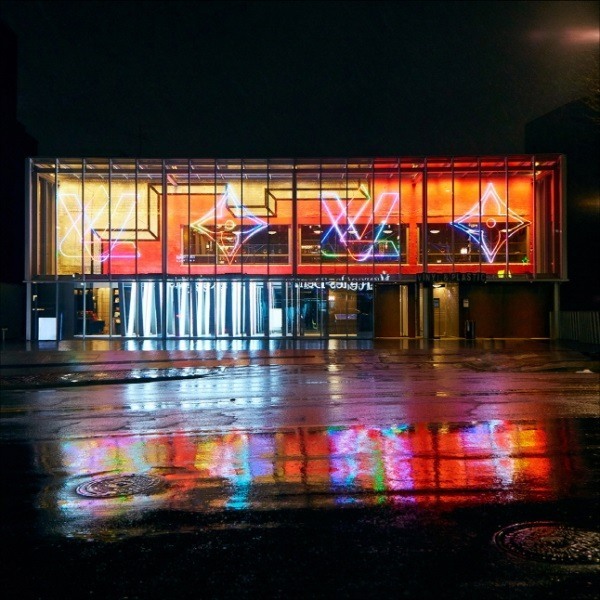 That’s one of the reasons why the French powerhouse chose South Korea to open its first pop-up store of Twist’s global collection, keeping in mind the country’s fashion styles that are fast-moving and trend-driven. 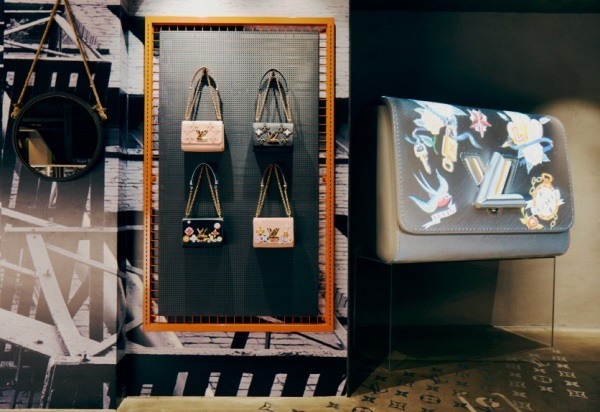 It is also the first time Louis Vuitton is launching a pop-up store for a single handbag line. Korea is the fourth-largest market for luxury leather goods in the world, according to Euromonitor. The pop-up store runs from April 11-24 at Vinyl & Plastic, an LP and CD record store of Hyundai Card in Itaewon, central Seoul. The rare space, where visitors come shopping for vinyl records, fits well with Twist’s mix of future and traditions. Visitors can stroll across the two-story building that is filled with more than 150 Twist bags that come in different colors, sizes and patterns that blend with the backdrop of LPs and CDs. The bags, from all around the world under one roof, include limited editions. Visitors can also purchase bags at the store. Twist bag, which first appeared in 2014 and was designed by Ghesquiere when he made his debut at the label, is inspired from Louis Vuitton’s design archive, highlighting the witty LV logo design. While being trendy and timeless, it is repositioning itself as the brand’s new classic bag in just five years since its initial launch.